I quit my job as assistant editor for a construction-related magazine in Washington, D.C., in late March, 2014. Everyone thought I was crazy, especially when I told them I was quitting to hike the Appalachian Trail. With my coworkers living in the DC metro area, most of them weren’t particularly outdoorsy. They thought I was a dreamer filled with wanderlust at best and insane at worst. At home, people’s opinions of my decision weren’t much better. My mother was convinced I would be murdered by a wandering ax murderer and my father told me I was making a horrible career decision more than once. After all, I worked very hard in college to earn a journalism degree to graduate just in time to look for jobs in the height of the recession. And with summers spent working for my home-building dad and a college internship with Builder Magazine under my belt, I was attempting to break into two “dying” industries: journalism and construction. Now that I’m more experienced, I completely reject the idea that these industries are dying, but that’s another blog post for another day. After a more than a year searching for a job after college and completing numerous unpaid or minimum-wage internships, I finally landed a job with the construction magazine. I was thrilled. But after just a few years, I realized I needed a change in a huge way. Though it was a great job during which I learned tons of valuable skills that are an integral part of my being able to freelance, it wasn’t for me. Commuting more than an hour each way to the city to sit in a cubicle and stare at a computer screen all day just wasn’t cutting it. I lived for the weekends when I could escape the suburbs and go hiking or camping in the mountains. Returning to the bustling city on Monday became an almost impossible chore. My friend Alex (right) and I only 30 miles into the trail, blissfully unaware of the challenges ahead. So I decided to take a risk and go for a hike. A really long hike. 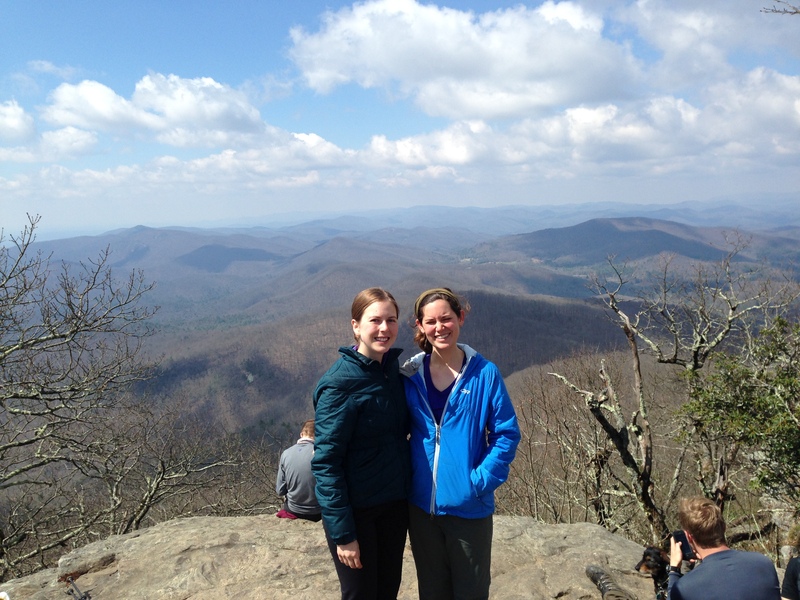 On April 5, 2014, I stood at the top of Springer Mountain in northern Georgia and began hiking north. I very quickly learned how to hike 15 miles per day with a 30-pound pack on my back, how to make a decent meal with one pot and a pouch of instant potatoes, and how to get over feeling like a complete dirt bag all the time. I had to quickly learn how to hitch hike and to accept help from strangers. I felt like—and looked like—a hobo. As the miles rolled by I started to realize that going back to work in a cubicle was impossible. I could never return to fluorescent lighting, long commutes and relying on others to grow in my work. I was going to concentrate on living a life that made me happy, which includes lots of hiking, slowing down to watch sunsets, living as far away as possible from a city and being at least partially self-sustaining. 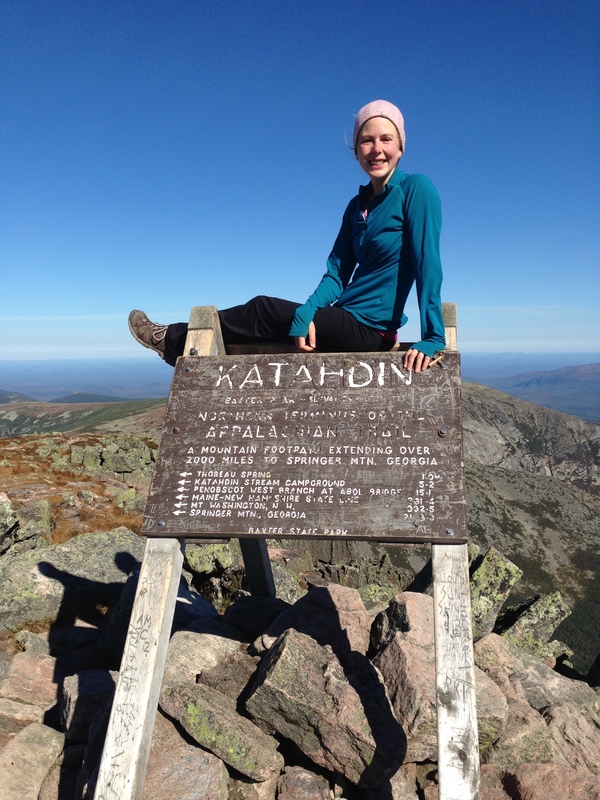 2,185.3 miles later on top of Mount Katahdin. So I decided to try to make enough money to get by as a freelance writer and editor. I finished my hike on Sept. 24, 2014, and returned home shortly after. I immediately began writing about my experience and searching for freelance writing opportunities. Now, more than a year later, I have a business that is successful enough for me to live the way I choose. I have a number of diverse clients for whom I write stories and web copy, manage enewsletters and edit articles. If I want to make more money or grow my business, it is solely my responsibility and a product of my hard work. No one is responsible for my career except for myself. In addition, I have a view of the mountains from my window, a great dog to take hiking and a kitchen full of canned food from my garden. Yes, quitting my desk job was risky. But settling for a life I knew was never going to be satisfying would be even riskier. Sometimes, it’s worth putting everything on the line to create a life of your own, even if it’s a little unconventional and involves hiking up most of the East Coast. Trail Magic: Three Couples Find Lasting Relationships While Thru-Hiking the A.T.
Good article. Where is this published?